After the completion of the Pre-registration Form and obtaining the sponsorship of your local Elks Lodge, it is necessary to fully register each child online. ​ Pre-Registration Form to your Local Elks Lodge. All camper registrations must be made using the Online Registration. To do so, click the "ONLINE CAMPER REGISTRATION " button below and complete all sections. 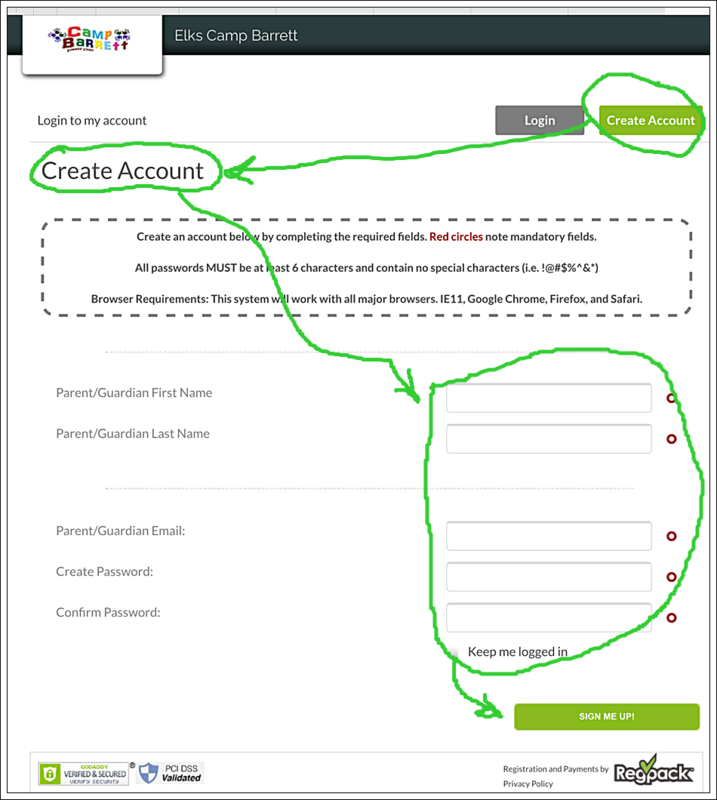 Please note that it is necessary to initial create an account to establish a login name and password. 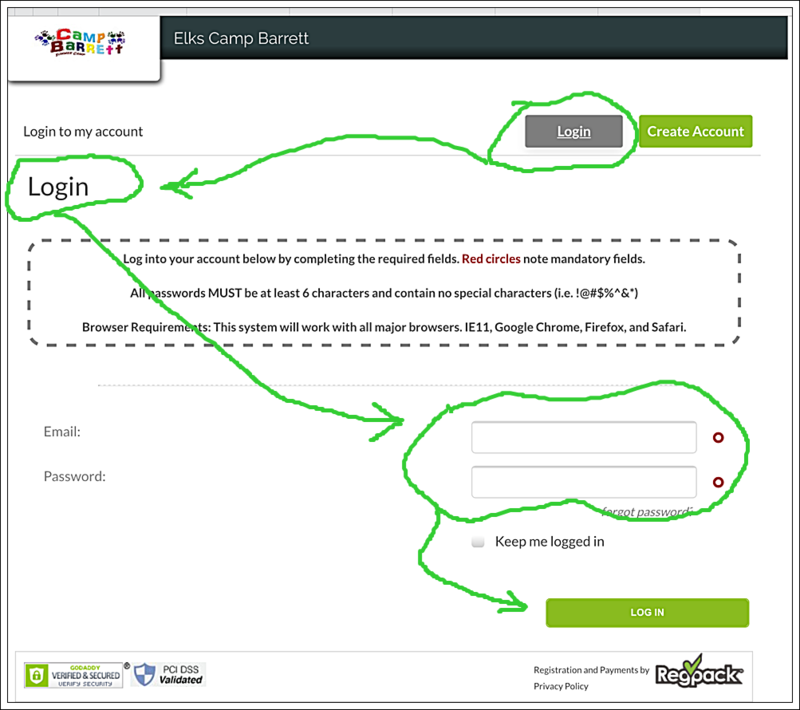 After clicking on the "ONLINE CAMPER REGISTRATION" button below, click on the "Create Account" button on the initial "Login-Create Account" page. Then enter your current email address, add a login password and your name to be used for your ECB Online registration. Be sure to remember your login and password. Note, both are case sensitive. Then on the bottom, click "Sign Me Up". After creating an account, please click on the "Login " button and enter your email address and login password. Then on the bottom, click "LOGIN". Remember the login address and password are case sensitive.